Heroes, stand ready! The gods are offering a seat in heaven to whichever hero defeats their rivals. Your courage and wits will be your most precious allies as you use divine dice to gather resources along the road to victory. Your divine dice are exceptional, with removable faces! Customize your dice to make them more powerful as the game progresses. Sacrifice gold to the gods to obtain enhanced die faces. Upgrade your dice to produce the resources you need. Overcome ordeals concocted by the gods to grow in glory and earn rewards. Skillfully manage the luck of the dice and take charge of your destiny. Only the greatest will ascend to the heavens! 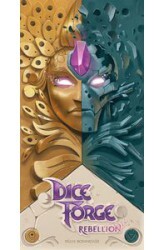 Dice Forge is a development game featuring innovative mechanics based on dice with removable faces. In this dice crafting game, player.. 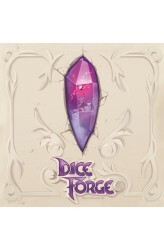 Dice Forge: Rebellion, the first expansion for Dice Forge, adds two different modules that can be added to the game: thirty exploit cards as well as new die faces, new boards, and an expansion to the sanctuary box are added to offer players new challenges, greater interaction, and more replayability. https://youtu.be/BNMZK7DFzfg ..
Houd je adem in! De afbeeldingen worden onthuld. Ze hebben één ding gemeen: een raadselachtige zin. Maar let op: slechts een van deze vijf afbeeldingen is de juiste. Aan jou om met doorzicht en intuitie de juiste afbeelding te vinden zonder in de val van je tegenspelers te trappen. Dixit: een verrassend, gezellig en grappig spel waar je met vrienden en/of familie van kan genieten. http://www.youtube.com/watch?v=LFsiBbopszI ..
Deze uitbreiding voor Dixit bevat 84 nieuwe kaarten en is eventueel ook afzonderlijk te spelen (maar dan heb je wel tokens nodig om te stemmen en pen en papier om de score te noteren). Omdat Dixit 2 in een veel kleinere doos komt is het ook uitermate geschikt om mee op reis te nemen. http://www.youtube.com/watch?v=kk5SnloKbhE ..
Dixit 3 is een uitbreiding voor Dixit. Deze set bestaat uit 84 nieuwe kaarten. 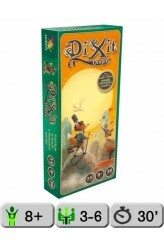 ..
As with Dixit Quest/Dixit 2 and Dixit 3, Dixit Origins (a.k.a. 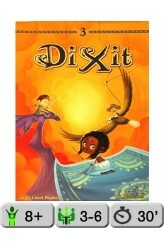 Dixit 4) is an expansion for Dixit with 84 new cards that feature fantastic and surrealistic artwork. These cards can be used with the components of the base game to provide more variety or used to play the Dixit game on their own (although you'd need to provide your own scoring board and voting tokens, in addition to knowing the rules). As for the game play in Dixit, each round one player takes on the role of Storyteller, choosing one card from his hand, then telling a story, singing a ditty or otherwise doing something that in his opinion is associated with the played card. Each other player then chooses one card in her own hand and gives it to the Storyteller in secret. 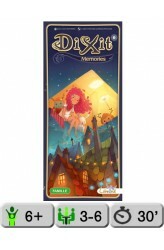 These cards are shuffled and revealed, then play..
Dixit: Daydreams is an expansion for Dixit that contains 84 new cards for use with that game. In Dixit, each round one player takes on the role of Storyteller, choosing one card from his hand, then telling a story, singing a ditty, or otherwise doing something that in his opinion is associated with the played card. Each other player then chooses one card in her own hand and gives it to the Storyteller in secret. These cards are shuffled and revealed, then players vote on which card was played by the Storyteller. If either no one or everyone votes for the Storyteller, then he receives no points; if he received some votes but not all of the votes, he scores based on the number of votes received. 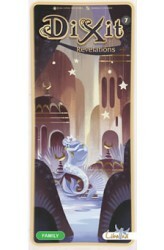 Each player who submitted a correct vote or who received a vote on her card submission also sc..
Dixit: Revelations invites you to go beyond what you see at first glance and discover what lies hidden between — or hidden by — the lines. Featuring art by the French illustrator Marina Coudray, Dixit: Revelations looks utterly unlike any Dixit expansion that has preceded it. Coudray's mysterious and enchanting images are heavily influenced by early twentieth century design, from the Art Deco movement to Surrealism, even while they convey stories and ideas that may be millennia old. In her art you’ll find echoes of Picasso, Magritte, Matisse, Escher, Greek myth, Indian religion, pop music, internet memes, and much, much more... In these stylized pieces, reminiscent of New York City’s architecture and glass Tiffany lamps, you’ll find many allusions to ancient myt..
Delve even deeper into the imagination with the newest expansion for the smash hit Dixit with Dixit: Harmonies! 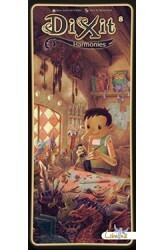 This latest expansion incorporates the unique and powerful art of Paul Echegoyen to push players’ imaginations even further, challenging them like only the game of Dixit can do. 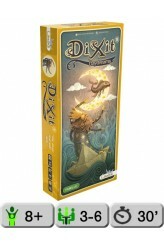 Fully compatible with the base Dixit game and every other expansion, these 84 new image cards expand upon the replayability and joy that the game of Dixit is known for. 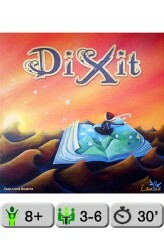 ..
Dixit… a surprising, enchanting and evocative game to be enjoyed with friends and family alike. 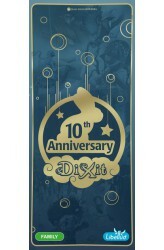 This multi-award winning party game returns with Dixit: 10th Anniversary, an 84 card expansion pack. All the illustrators of previous expansions have been invited to join the adventure again. With evocations of tales and myths from all around the world, their combined art leads to an amazing result! 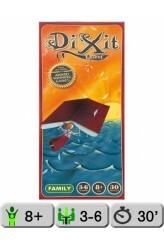 Get caught up in the Dixit spell and experience a new and amazing journey taking you far beyond your imagination… ..
Dixit Odyssey is both a standalone game and an expansion for Jean-Louis Roubira's Dixit, which won Germany's Spiel des Jahres award in 2010. 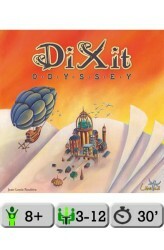 Game play in Dixit Odyssey matches that of Dixit: Each turn one player is the storyteller. This player secretly chooses one card in his hand, then gives a word or sentence to describe this card – but not too obviously. Each other player chooses a card in hand that matches this word/sentence and gives it to the storyteller. The storyteller then lays out the cards, and all other players vote on which card belongs to the storyteller. If no one or everyone guesses the storyteller's card, the storyteller receives no points and all players receive two; otherwise the storyteller and the correct guesser(s) each receive three points. Players score one p..